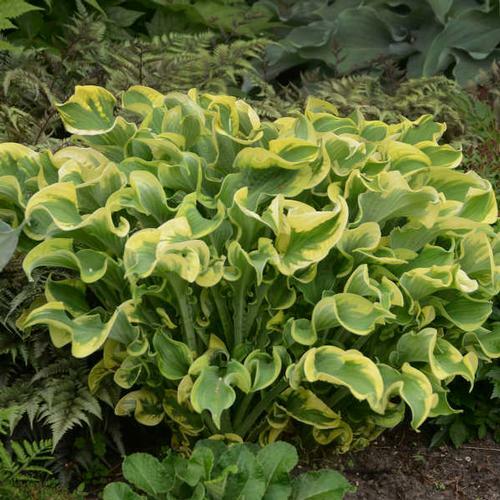 An interesting medium sized hosta. Green centers and creamy white margins extend from tip to crown. Margins are extra rippled and wavy like a rollercoaster ride at the fair. Light lavender flowers bloom mid summer.